How do you know you’re a literary superstar? When you can say sappy things and have people read them as profound and status update worthy. 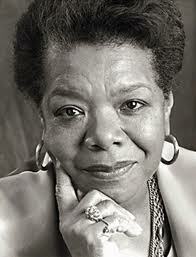 Last week, Maya Angelou, writer, activist and feminist icon, passed away. As expected, Facebook and Twitter erupted, people outdoing each other in a bid to provide the most thought-provoking quote they had come across either through reading her work or, if you subscribe to the more cynical school of thought, via a quick Google search. I wasn’t surprised, really, given that this was exactly what had happened when, earlier this year, other literary/political greats passed away. My own reading of Angelou has been very limited: I was introduced to her through a credit course I did in my first year of undergrad. She was part of a collection of writers brought together under the heading ‘Gender’, ostensibly placed there because the piece we were reading, ‘I rise’, was meant to be studied (in that particular course) in its feminist context. Beyond that poem, I have read nothing of Angelou. Until the status updates appeared. Have enough courage to trust love one more time, and always one more time. Now, plenty of people have said similar things. For instance, Auden declared, rather melodramatically, ‘We must love one another, or die’. Singers and songwriters state that love makes the world go around in various ways and Harry Potter, arguably one of the most influential literary icons of the last century, wins because he symbolizes and fights for, at some level, the power of love. In all these cases, love does not restrict itself to the sense that it has gained in most commercial domains: that of romantic attachment. Yes, this is probably the most lucrative form of it, selling as it does cards, perfumes, books and loads of jewellery, but it is not the only one out there. What a lot of these writers, Rowling included, gesture towards with the term is a sort of universal agape, a feeling of hope born out of the hero’s ability to connect with and care for his fellow beings. I am at an age where the idea of ‘happily ever after’ and perfect worlds seems laughable, where to even hint at believing in such things is to invite ridicule. The ‘adult world’, I’ve been told time and again, is no place for such escapist ideals. This is a land where to be open with your feelings is to expose yourself as a weakling; where courtship, whether romantically inclined or not, is a game that you play with half your attention on the board, the other half plotting ways of ensuring that you don’t ‘lose’ more than your opponent does. You can’t ever look as though you are completely earnest in what you do or feel or say; that’s just not safe anymore. So, given all this scepticism and general cynicism that usually floods conversations, it was more than a bit surprising and, really, refreshing to see tributes to a woman who, quite vociferously, argued for the power of love. And argued for it despite having a life that no Disney moviemaker would touch with a ten-foot pole. Angelou’s words came back with a bit of a bang when I watched the latest superhero blockbuster to hit screens: Bryan Singer’s X Men: Days of Future Past. Unlike its cousin, The Amazing Spiderman 2 (which released a little earlier this year and that I blogged about here), X Men is not halfway as stereotypically feel-good. X Men, arguably, never has been, chiefly because its primary villain, Magneto, is such a complicated, shades-of-grey character whose agenda of a mutant-run-world is all too close to the reality of sentiments that govern (and, to many eyes, justify) the behaviour of the state of Israel. But Magneto and his almost-Zionism are a topic for another day. 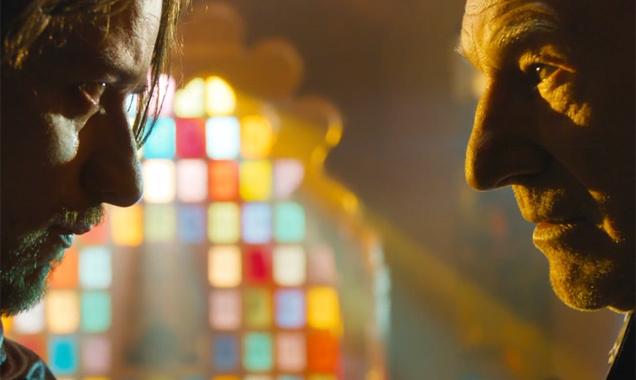 Like any good superhero movie however, Days has its soaring speeches and breakdown moments. At a particularly low moment, young Charles buckles under the pressure of all the ‘despair and pain’ he sees in the world: ‘I don’t want your suffering, I don’t want your future!’ Then comes a heartwarming speech from a mentor figure, about finding the power of ‘hope’ within all that morass, the strength that people like Charles need to exude to their friends and followers. ‘We can bear their pain’, he is told, if he can bring himself to ‘hope again’. Isn’t that a superpower? The ability to look the world head on, see its evil, and yet find reserves of hope to take it on? Angelou basically said what every superhero movie, even the stylishly dark Nolan-Batman, depict. No matter what dross the world throws at you, what terrible agenda the villain has cobbled together, always trust hope, love, basic human goodness, one more time and always, one more time. It’s the only thing, apparently, that can save the world.